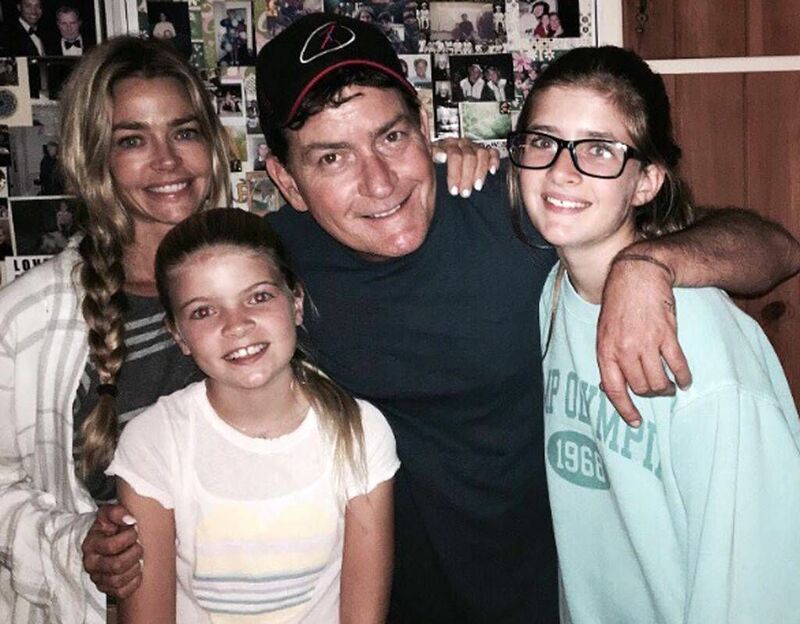 They often say that the only thing worse than being talked about is not being talked about at all, but for Denise Richards, the publicity she's recently been subjected to is worse than she imagined. Richards first made headlines in early August when she confirmed that she's joining the ninth season of the hit television show The Real Housewives of Beverly Hills. A few weeks later, the 47-year-old actress dropped the bombshell that she married her boyfriend Aaron Phypers just two days after announcing their engagement. "Hi, I'm Denise Richards, and yep, the rumors are true," Richards said in a video posted on Bravo's The Daily Dish. "This is my husband, Aaron, and we just got married." "Love you, baby," the groom added. "I am so happy to officially be married to the love of my life," the actress said in a statement. "I can't wait for everyone to go on this incredible journey with me this season on The Real Housewives of Beverly Hills. It has been a wild ride so far!" The pair have reportedly been dating since December 2017, and made the decision to tie the knot after Phypers finalized his divorce from former Desperate Housewives star Nicolette Sheridan. The couple were married for only six months. As for Richards, she famously married actor Charlie Sheen in 2002, but their union also ended in a dramatic divorce after four years. They share two daughters, 14-year-old Sam and 13-year-old Lola. The Wild Things actress is also mom to Eloise, 7. Despite their differences, Sheen still wished both Richards and Phypers "nothing but happiness!" For her first marriage, the former Bond girl worked with a wedding planner and had at least a year to plan the lavish affair. However, this time around, Richards opted for a quickie wedding and some people had a lot of negative things to say about the whole situation, specifically the bride's dress. Mark Zunino is the designer who was tapped to create the dress in less than 24 hours. "24 hours to make a wedding dress? NO PROBLEM!!" Zunino wrote in the caption of an Instagram photo with Richards wearing the dress. 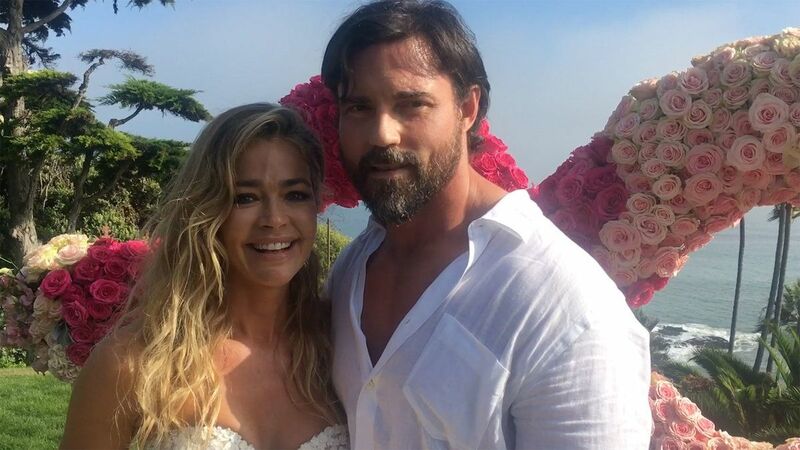 "Congratulations to Denise Richards and Aaron Phypers! Thank you for letting us be a part of your special day!" Unfortunately, the non-traditional dress, which featured a bodice covered in floral appliqués and a tulle skirt, received plenty of backlash on social media, some even calling it a "nightmare." “It was completed in 24 hours because there’s only four hours’ worth of material to it,” tweeted on user. Another added that while it's a "great dress," it's for the "wrong occasion." "I would have liked to see a full length gown!" read one comment. "This looked like she was going to the Oscar, not her wedding!" Of course, there were many people who loved the dress and thought it was "stunning," but Zunino couldn't shake off the negative comments and deleted the first photo of the star wearing the dress. He then shared another post in which he defended his creation, explaining that his team "work for the bride" and their job is done as long as Richards is in love with the dress. "I don’t think we’ve ever had a wedding dress create more split opinions than the dress we just did for Denise Richards! Here’s out thought: we work for the bride. As long as they're in love with the design, we feel we’ve done our job. Unless you’ve paid for it or are the one wearing it you don’t have to worry about it! We are thrilled that Denise felt beautiful on her special day and love how the dress 100 percent fit her personality and the setting." Fans of Richards can get a better glimpse of her dress when footage of her small wedding airs during the upcoming season of RHOBH. Richards looks great in anything she wears, and this dress is no different. We all don't have the same taste in style and every bride wants their look to be unique, something that Richards definitely achieved.